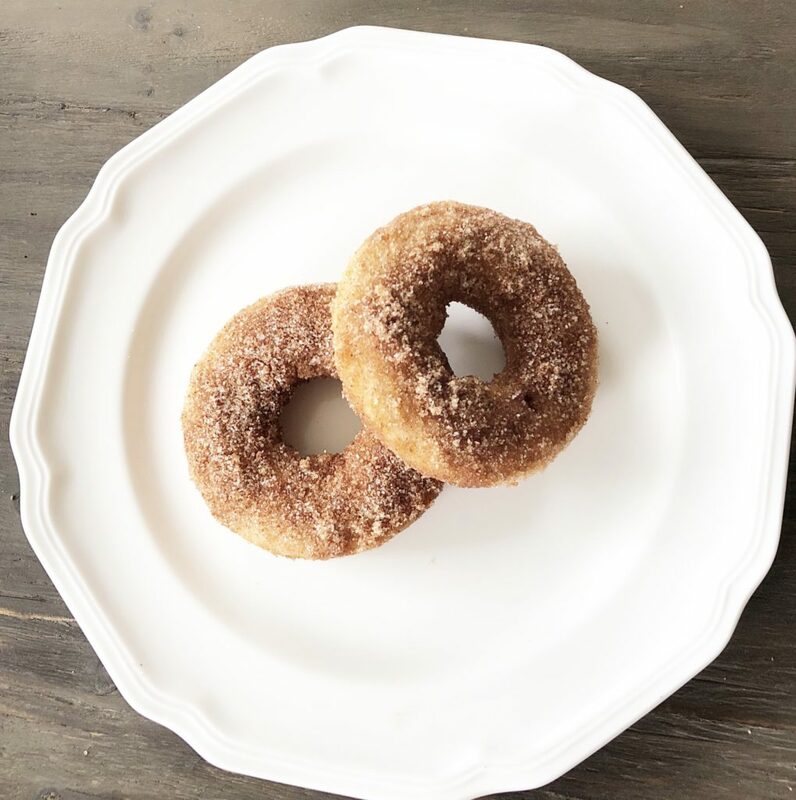 These baked cinnamon sugar donuts are so good, and the best part is that they are easy to make and you can enjoy one within 20 minutes! 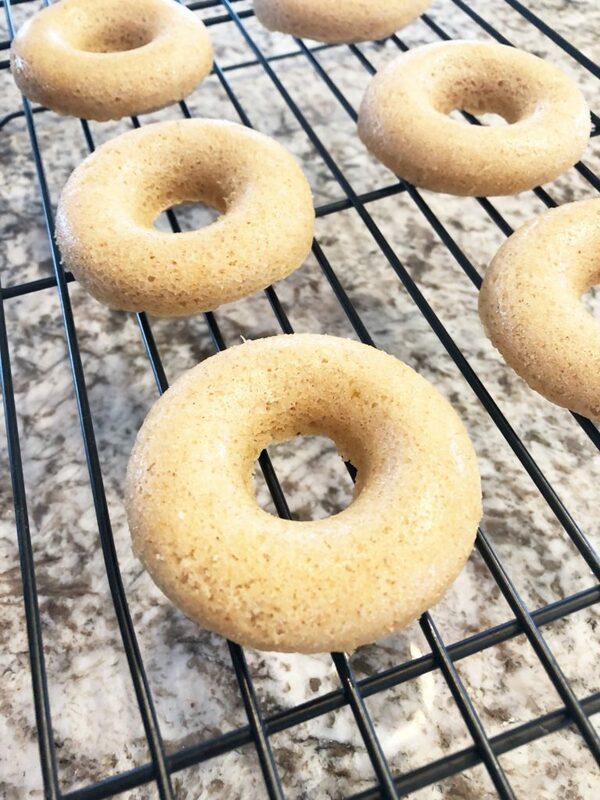 When on a quest to find an easy baked donut recipe, I came across one by Ina Garten. Now, if you bake or cook even a little, you know that the Barefoot Contessa is the queen of all things culinary. For my first go at homemade donuts, I figured her recipe would be a win, for sure! 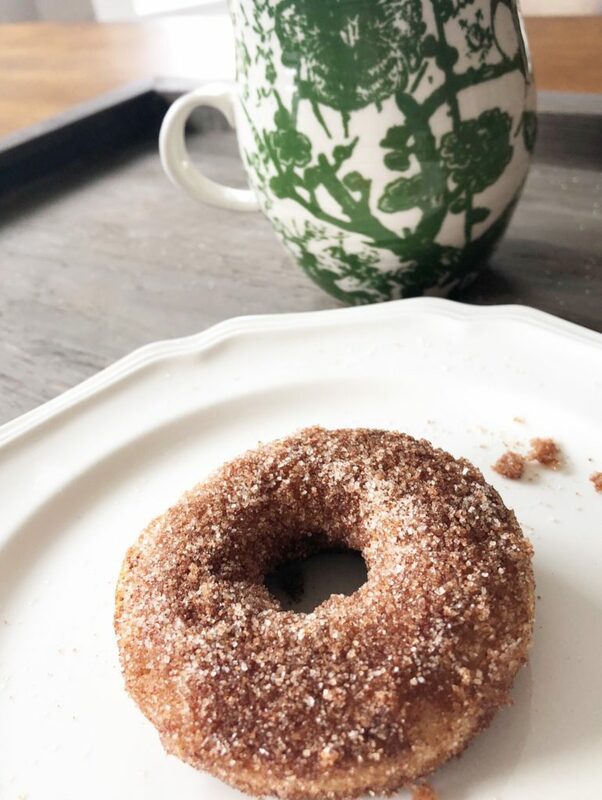 This foolproof recipe is so easy to make, and the absolute best part is that you can enjoy a fresh baked, warm donut without even changing out of your pajamas! 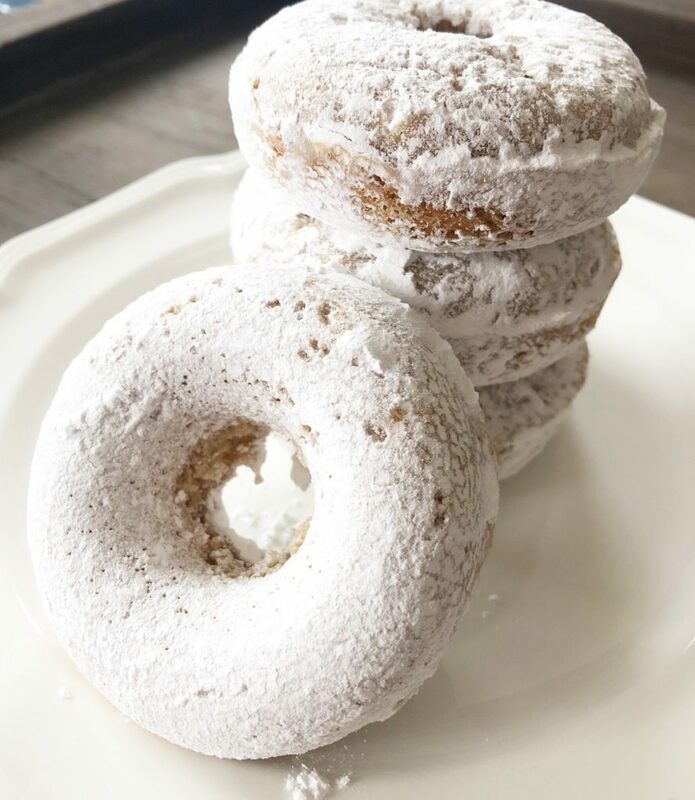 And because these donuts are baked and not fried, you can even tell yourself that they are “healthy.” Of course, they really aren’t, but who cares, right?!? Yummy! 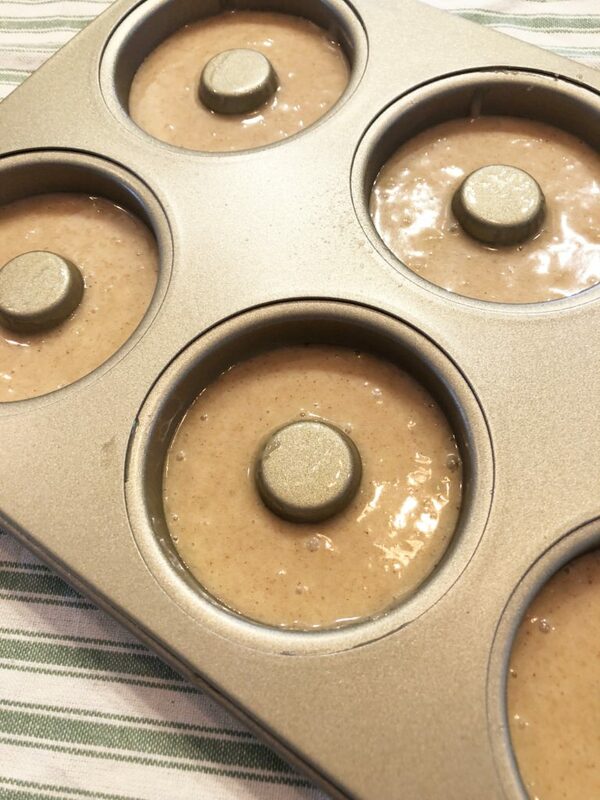 You will need a donut pan like this one to make this recipe. These donuts have a yummy cake-like consistency, and are the perfect way to start off your morning. Try dipping some in powdered sugar, too! Preheat oven to 350 degrees, and spray your donut pan with cooking spray. In a large mixing bowl, stir together the dry ingredients: flour, sugar, baking powder, cinnamon, nutmeg, and salt. 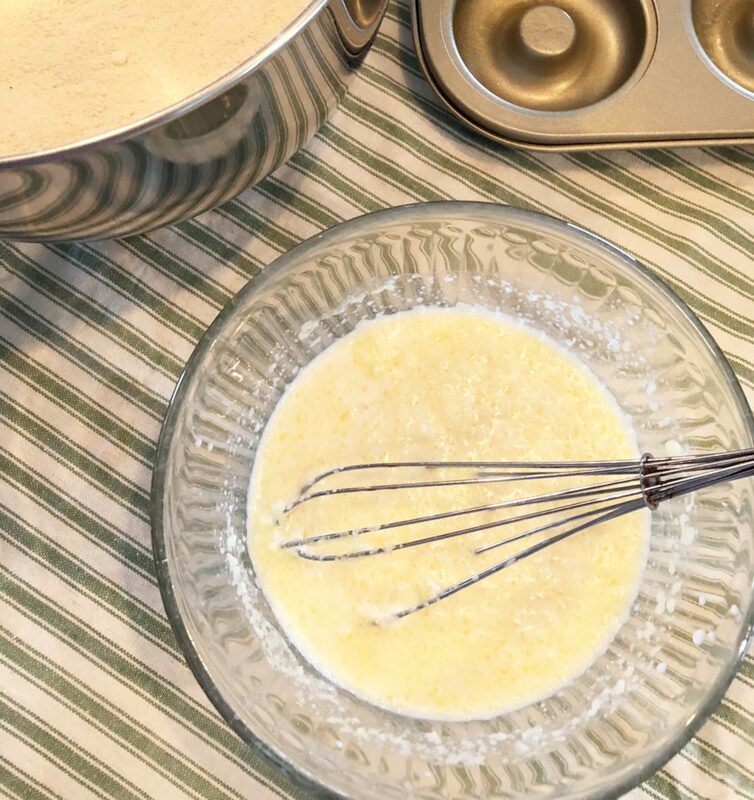 In a separate bowl, whisk together the wet ingredients: egg, milk, melted butter, and vanilla. Using a spoon, scoop batter into donut pan so that each mold is 3/4 full. After donuts are finished baking, immediately turn them out of the pan and onto a wire rack to cool. 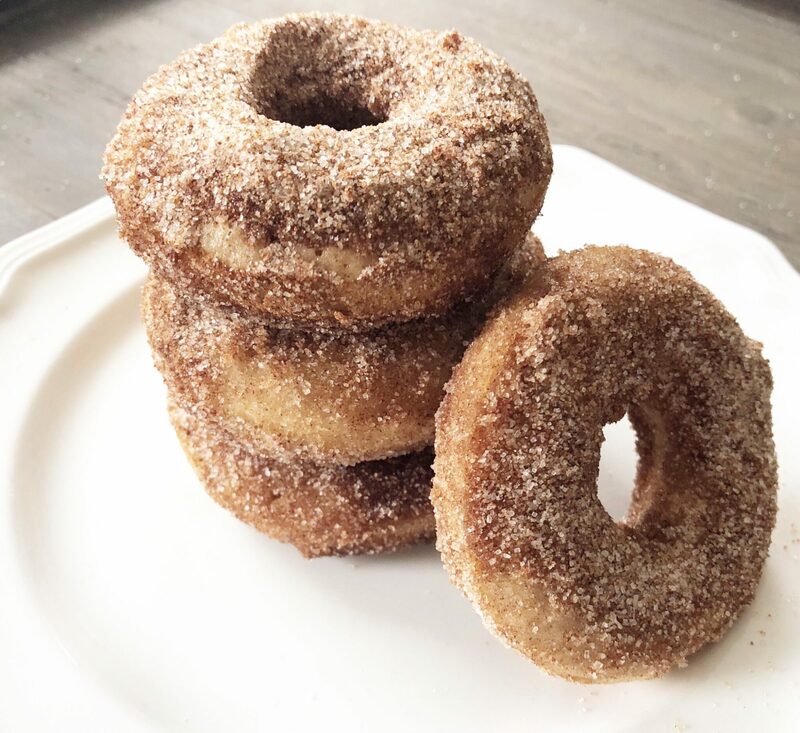 While donuts cool, make the cinnamon sugar topping. 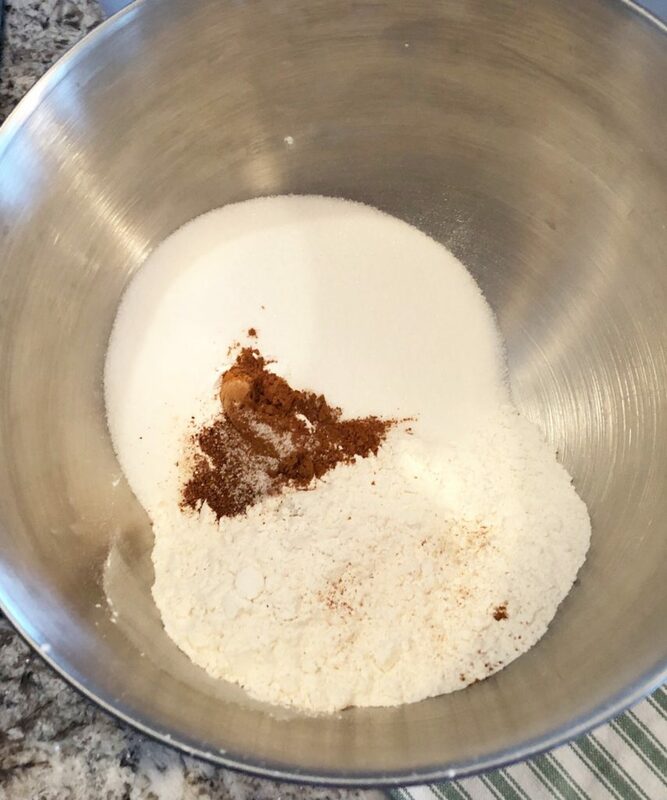 Mix the cinnamon and sugar together in a bowl. Dip the warm donuts in the melted butter, then dip in sugar/cinnamon mixture. 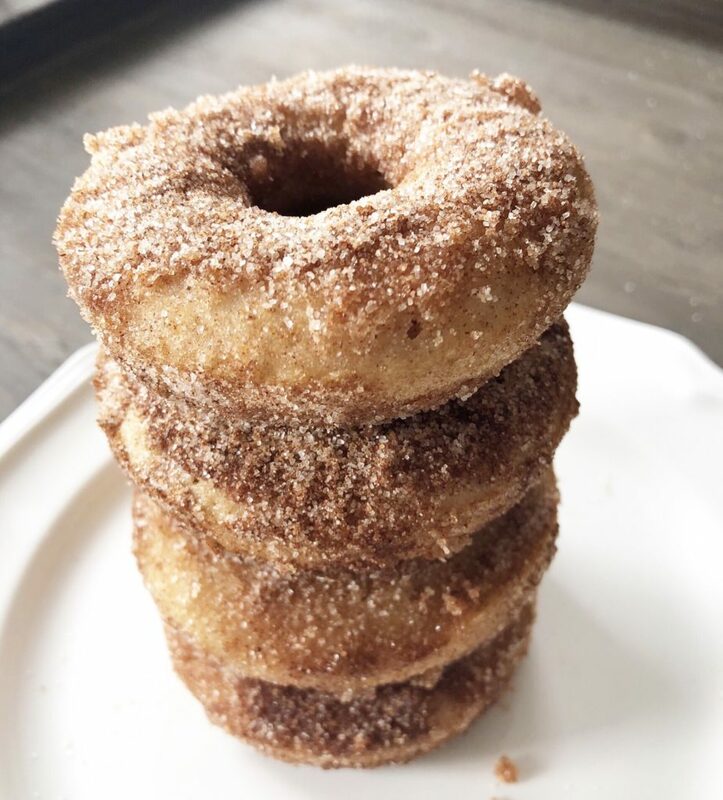 These donuts are sure to have your family licking the cinnamon and sugar off of their lips and fingers while reaching for another!